Certain circumstances call for a certified professional over a standard contractor or handyman. This is particularly true when dealing with water and mold issues in a home. Typically, a mold problem will develop if you had a pipe leak, building defect that allows water to penetrate, or if the relative humidity in a home remains high for a period of time. Moisture is the cause of the mold growth. The water source will leave footprints such as staining, buckling, paint peeling, separation of building materials, and a mold like substance and/or musty odor. Mold can be very evasive. Most of the time mold is hidden behind walls, in cabinets, under carpets, or in your heating and air conditioning ventilation system. For this reason it is important to hire a professional mold inspection and testing company to identify if you have mold and where it is located. Once you have validated that you do have mold. Hiring the correct contractor will be pivotal. 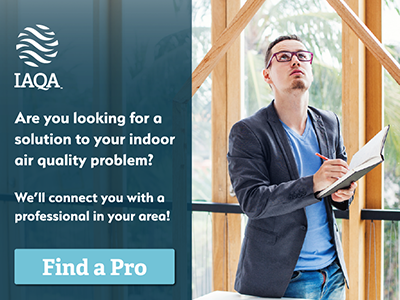 Many contractors and/or handymen will make the claim they can take care of a mold problem or environmental health issue and perform the work at a lower cost. This can be enticing to a homeowner trying to stay on a budget. Unfortunately, the work conducted by a contractor or a handyman without the proper knowledge and skills can create a false sense of security that a situation has been handled properly. In reality, the work they perform is often times subpar, fails to eliminate the environmental problem and in the case of mold, makes matters worse by cross contaminating your home. 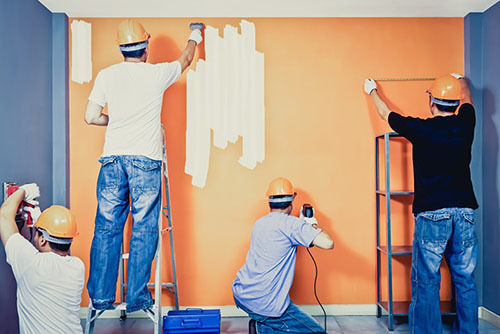 Ultimately, this ends up costing the homeowner more money in order to have the work completed correctly with a certified professional a second time and may even subject you to health risks if the problem was not corrected in a timely manner. For this reason, hiring a certified mold remediation company will be your best choice. Certified mold remediation companies are properly trained in following guidelines and procedures that will effectively remove and clean the mold. Certified firms must meet a rigorous list of standards in business ethics and expertise. When dealing with environmental health issues like mold, radon, lead, etc., it is best to consult someone trained in that discipline. This article was contributed by the Public Education Subcommittee: Steve Levy, Mark Levy, Caroline Blazovsky, Brian Karr, Corey Levy, and Al Rabin.